Working Poor, Minimum Wage and Old Age Security– how must good economic and social policy be designed today? How do global competition and digitalisation effect companies, and what impacts do these developments have on national economic policies? 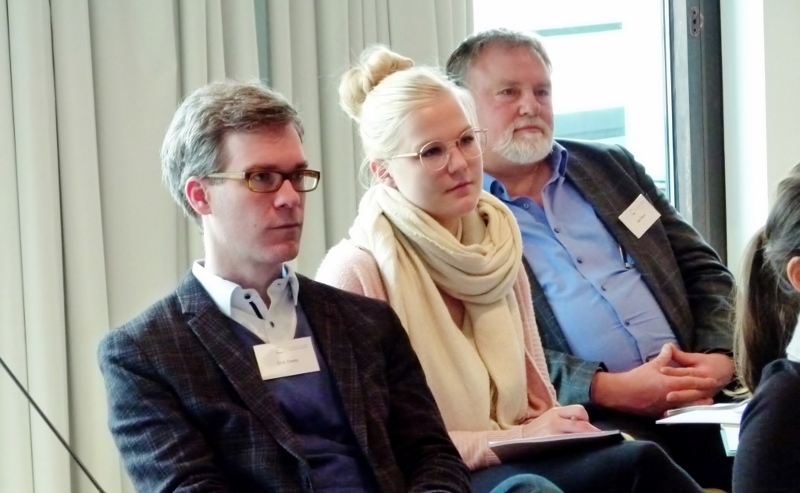 These were the topics discussed in-depth on Friday, 15 March 2019, in the third and provisionally last event of the Trialog series “Who bears responsibility for the future of democracy?”. The questions sparked an adamant, controversial and an open debate amongst speakers and participants alike. Among the guests were Prof. Dr. Gustav Horn, Scientific Director of the Macroeconomic Policy Institute (IMK), Prof. Dr. Camille Logeay from the University of Applied Sciences Berlin, and Henrik Schmitz, Vice President Communication Strategy and CEO Communication at Deutsche Telekom AG. Speakers contributed a variety of arguments and views to the discussion and analysed the topic from a state, market-centred as well as gender-specific perspective. 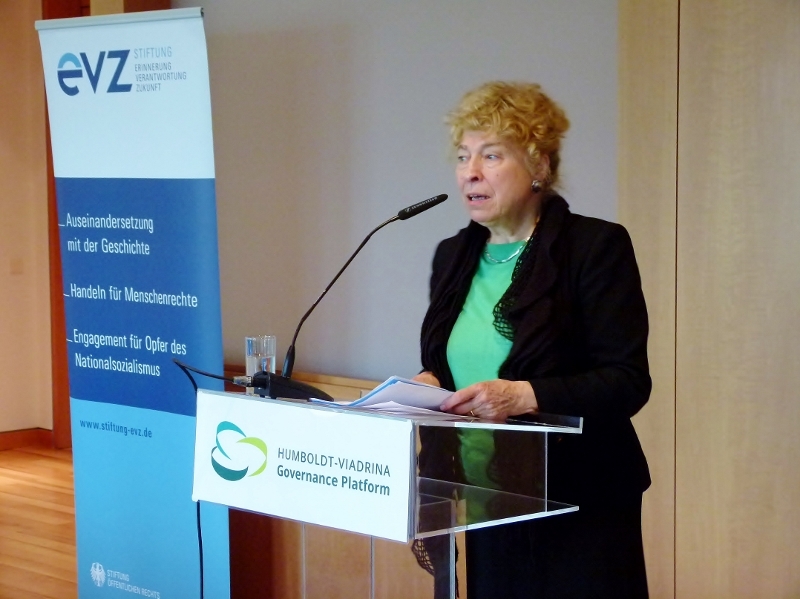 The joint initiative of the Foundation ‘Remembrance, Responsibility and Future’ (EVZ) and the HUMBOLDT-VIADRINA Governance Platform is a deliberate discussion series on the relationship between business and democracy in times of global change, protectionism and populism. For further information please visit our website.